Click. Prepare. Swim. Yep, that’s about as hard as it gets. At The Little Pool Co. we’re big on making life simple. Which is why we’ve made it easier than ever before to own a great looking pool without breaking the bank. With the help of one of Australia’s leading pool manufacturers, and the brains of one of the industry’s most respected engineers, we’ve managed to create the ultimate transportable instant fibreglass pool. A pool for smaller backyards. 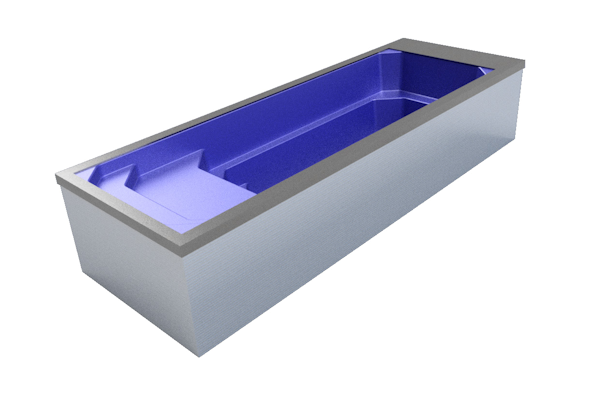 The unique non-corrosive composite exoskeleton means that unlike many other fibreglass pools, The Little Pool Co. series can be installed fully above ground. Perfect for smaller sites with limited excavation options. Gone are the days where getting a swimming pool means having a major construction project in your own back yard. 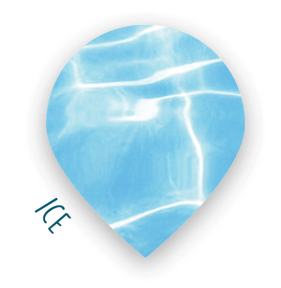 All you have to do now is pick your favourite pool shape, choose your preferred colour, select your ideal exterior surface, complete your online order, then sit back and get ready to swim. It’s never been easier to turn your backyard into a personal oasis. When your pool arrives you barely need to lift a finger. All you need is a level concrete pad and a certified electrical connection, then simply fill your pool with water and jump in. Fencing requirements vary from State to State. Check with your local authority about regulations in your area. More about preparing for your pool delivery. maintenance kit and surface decking surrounding pool. Choose from four popular water colours. Mini Orb™ corrugated steel panels create a unique exterior finish. Mini Orb™panels are available in six Colorbond™ colours. Hardie’s panels offer a sleek stylish finish. The clean, smooth surface creates a minimalist finish that allows your pool to blend into any poolscape. Available in the same six Colorbond colours as the Mini Orb™. Add a burst of colour to your pool exterior with these fantastic greenwall panels. Great for a feature segment or for an entire poolside. Put the final touches on your pool to make it perfect for you. Choose from a range of optional upgrades including external steps, heating, lighting, and water management systems. If you have a unique request, simply call us to create a full custom option. decking? If your pool is going to be a stand-alone feature in your back yard, you may wish to consider the addition of external steps. The decked part of your Little pool will require balustrades to prevent falls. Choose from our powdercoated alloy options, or DIY with your preferred choice including glass. All Councils/local authorities have different rules regarding building projects and pool fencing. It is important that you check with your local authority about your requirements. Your Little pool comes complete with extensive engineering drawings to assist when dealing with Councils or private certifiers. Some regions require independant fencing for above-ground pools. All Little Pool Co. pools have been designed to fit perfectly on standard-width trucks, which makes them simple and cost-effective to transport. Due to each customer living in a different location, we do not offer freight-inclusive pricing. We are happy to organise freight (at your cost) or you can choose to self-manage this process. Each pool is designed to sit on a basic, level concrete slab. This ensures that the weight of the pool and the exoskeleton are evenly supported, which is an installation requirement. The concrete slab should be a minimum of 110mm thick, poured on plastic sheeting and reinforced with SL62 mesh. Control joints are not required and there should be no fall on the slab. You will need to engage a licensed electrical contractor for connection of your pool. The contractor will need to understand Section 6 of the Wiring Rules, and be familiar with equipotential bonding of swimming pools and spa pools as per the Australian Standard Electrical Installations – Wiring Rules (AS3000). Let us help you with your decision-making. Learn more about pool types and pool ownership. Salt water pools: Is salt a more effective method of pool sanitisation? Kids’ swimming pools: What makes a good pool for your family? Pool cleaning systems: What are the options available to you? Swimming pool heaters: Which is the best type of pool heating to choose? Plastic pools: Are they worth it? Cheap swimming pools: Do you get what you pay for? Shipping container pools: Are they the best small pool solutions? 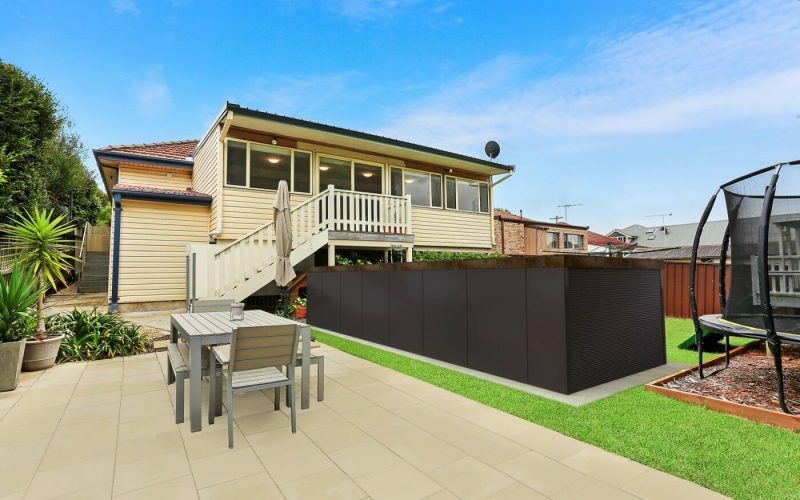 The trend for shipping container pools is now growing rapidly in many countries around the world, particularly in Australia, where they are becoming popular features in many backyards. But are these upcycled solutions really the best way to have your own pool at an affordable price? The right pool design can help with this significantly, as it can suit all your needs and enable you to get maximum usage and enjoyment from your outdoor space. Here we share some of our favourite pool ideas to help you get the design exactly right. If you are building a new home, you know how much attention needs to be paid to every detail. Including a garden pool from the beginning of the project can make a lot of sense. Here are some of the reasons why you should consider including a pool when building your new home. Pool costs: How much to buy a swimming pool? A swimming pool is a major investment bringing the enjoyment and enhanced quality of life with it. But how much does it cost to buy a pool? Here we take a look at the different options available to you, the factors you need to take into account, and what they mean for your budget.